Let’s celebrate the day with love and affection for our mother! What do you usually do when Mother’s Day? Do you plan something to surprise your mother? Is there any kind of celebration to commemorate Mother’s Day in your country? Celebrating Mother’s Day moments should be used as well as possible to express our gratitude for the love our mother has given us. Then how do Russians celebrate Russia’s Mother’s Day? Does it have a lot of difference with Mother’s Day celebrations in other countries? Mother’s Day celebration in Russia probably not much different in other countries. It’s just that the Mother’s Day celebration in Russia has the same celebration as International Women’s Day in Russia because it was commemorated on the same day, March 8. Because of the celebration of Mother’s Day and International Women’s Day, March 8 is a national holiday in Russia. In Russia, International Women’s Day celebration is more popular than the Mother’s Day celebration. People prefer to celebrate “The 8th of March” by congratulating all women. Although there are some people who still give special greetings to their mothers. There are some celebrations that can be done when commemorating Mother’s Day in Russia. 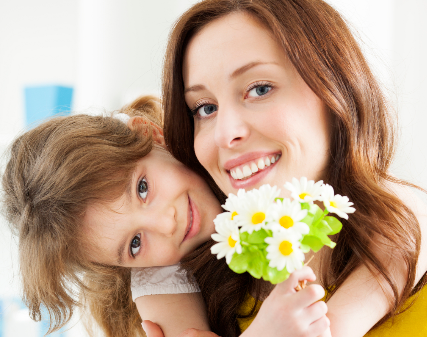 What are the types of Mother’s Day celebrations? In this article I will discuss about how Russian People Celebrate Mother’s Day. The most common and popular way to celebrate Mother’s Day is to spend time with family. Spending time with family can be done at home or can also go visit a place. There are several places that can be visited with family in Russia during holidays. By gathering with family, family relationships will get closer to each other. People and their families will spend the day happily. If you spend time at home, many things can be done. You can help to clean the house, cooking together, just chatting with family members about a lot of things, or to watch a movie together. Activities are fun. Am i right? When together with family, another thing that can be done is to hold a small party with the family. A small party where there are lots of food, snacks and drinks. You can also have a barbecue party. Make your mother to rest while you and other family members make food to share with the others. Remember, we are celebrating Mother’s Day, right? With this party, families who live far away can join together and be happy. Seeing the family gathered together will make mother feel happy too. How beautiful. If you live in a place far enough away from the house where your parents live, and have time to travel home, coming to visit your mother at home can be a choice of ways to celebrate Mother’s Day. Parents will certainly welcome with joy the arrival of their children who live far away from them. You can come visit your mother and also give gifts and flowers for her. By visiting your family, you and your mother can let go of each other’s nostalgic feelings. Your arrival home, can be one of the most desirable things for your mother to celebrate during Russia’s Mother’s Day. Another thing you can do to celebrate Mother’s Day in Russia is to invite your mother to go out with you and enjoy quality time together. If you were a child, you were invited by your mother to travel somewhere. Why not take advantage of this Mother’s Day commemoration to invite your mother to go out with you? You can both visit interesting places in Russia. Or you can go visit a place that your mother really wants to visit. Spend your time with your mother well in this Mother’s Day holiday in Russia and don’t forget to take a photo together. With you going with your mother, it will certainly increase intimacy between you and your mother. Your mother will also feel very happy to be able to go alone with you. So beautiful, isn’t it? The sad thing is when you are not able to go home to celebrate Mother’s Day if you live away from your parents. Whether it’s because of the limited time to return home, because there are no holidays to return to Russia if they live abroad— not all countries make Mother’s Day as a national holiday— or other obstacles. One way to still feel a little Mother’s Day celebration in Russia is to call or make a video call with your mother at home. At least by doing that, it can reduce your sadness because you can’t join other families in celebrating Mother’s Day. By telephone or video call, you can talk with your mother. You and your mother can exchange news about each other’s circumstances. You can also say “Happy Mother’s Day” to your mother even though you are very far from your mother. Maybe you will hear sobs from your mother, but it doesn’t matter, your mother will be happy when you call her. At least it could prove if you still care about your mother even if you’re not around. Maybe there are still many other things that can be done to celebrate Russia’s Mother’s Day. Like a tradition that is only done by some families maybe. If you know of other ways to celebrate Mother’s Day in Russia besides the ones I mentioned above, you can share them in the comments column below. What about the Mother’s Day celebrations in your country? I hope this article can really help you to know about Russia’s Mother’s Day celebration.